Enjoy some meditative greenery and cultivate your own flowering bonsai tree with this kit. Patience is a virtue. The ancient Japanese art of bonsai stems from the meditative search for the essence of nature over years of cultivation. Begin your exploration of this horticultural tradition with these bonsai specimen kits. Each one includes everything you need to start growing your own crepe myrtle bonsai tree--seeds, growing medium, bonsai pruners, detailed directions, and a recycled US steel grow box. A deciduous tree with textured, grey-on-red-bark, crepe myrtle (Lagerstroemia indica) is one of the loveliest and easiest bonsai varieties to grow. During the second year of cultivation, leaves change from green to red through the spring. The tree has tiny pink-to-red flowers that grow on new wood and appear during summer months. Crepe myrtle bonsai may also be displayed during the winter months, after its leaves have fallen, to reveal its wonderful trunk color and structure. Kit made in Idaho. Click to see growing instructions. Kit includes: tree seed, growing medium, bonsai scissors, recycled US steel box, directions. Photo shows crepe myrtle at 5 years old. This gift was right on the money! This is a review of the way the product arrived - I have not grown the bonsai yet. It is a beautiful package and high quality. I'm excited to give this to my mom for Christmas! Cute packaging-let's see if it grows! I am giving this to my father-in-law for Christmas. He is a huge green thumb (as am I), so hopefully he can get it to grow. The packaging is adorable and very sturdy. I like that the tree can be grown in the box it ships in. I bought this as a gift for my mother. She is a beginner gardener, and this gift is perfect for her to use indoors! 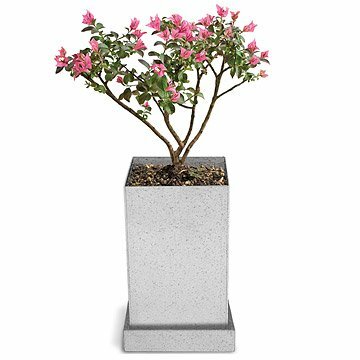 She has a crepe myrtle in her yard, and now she can have an easy to grow bonsai in her office! Not at all what I thought we were purchasing. Just a seed and dirt. Very embarrassing and very disappointed. Will never purchase from this site again. I will buy thus product again! Very cool, she loved it! I purchased this as a birthday gift for a friend. The packaging is beautiful. I just hope it grows so that she can enjoy it! We have crepe myrtle outside, so now I can enjoy one inside.